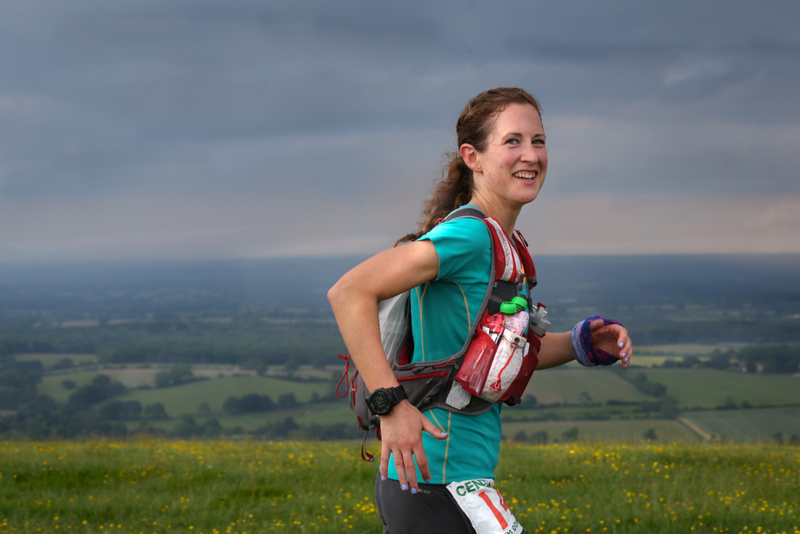 Cat Simpson joined the Centurion Running Ultra Team this year. Team mate Debbie Martin-Consani talks to Cat about her debut in the yellow shirt, win at WW50 and plans for 2018. 1) Your WW50 win was a great end to a great year! What first got you started running? Thank you! I think it was quite a boring reason like wanting to stay fit for free, without using gyms, and running a few miles to do so, then entering 10ks which became half marathons which became marathons, then it spiralled out of control a bit. The fact that my husband and Dad are also runners probably fuelled the flames too. I also love travelling and running has always been an excuse to explore the UK's trails and national parks, and see some European cities. I now run with local club Fulham RC but must admit I'm a bit of a lone wolf for the majority my training - I love running with friends but also quite like my own company and don't mind being out for hours on my own. Hopefully I don't sound like a complete weirdo saying that, but I think that's been quite beneficial in long ultras because I can hold great conversations with myself. 2) What have been your top five running highlights? Beating my husband's marathon PB by one second - the funniest bit wasn't beating him, but the fact he genuinely though it'd intentionally gone out to beat him by such a small margin. The finish line of GUCR - there were a lot of tears, I needed two people to carry me to the car, then when I got home I went straight to bed and didn't move for about three days. Running Autumn 100 last year, disappearing to the toilet straight afterwards because I felt rough, then coming out to overhear my Dad telling someone I was planning to do GUCR next, which was the last thing on my mind at the time. Telling James after the first lap of WW50 that I didn't think the hills were that bad, then getting my arse spanked by them on the final two laps. Joining the Centurion yellow jersey gang. True story. 3) Your GUCR win could be seen a game charger for you, do you think that has made you mentally stronger? For me, it's more about wanting something a lot than having a lot of mental strength - that's why I I don't race a lot because it stresses me out - the training, the tapering, the prep, the recovery. I'd rather target a couple of significant races a year than do 10 smaller ones. 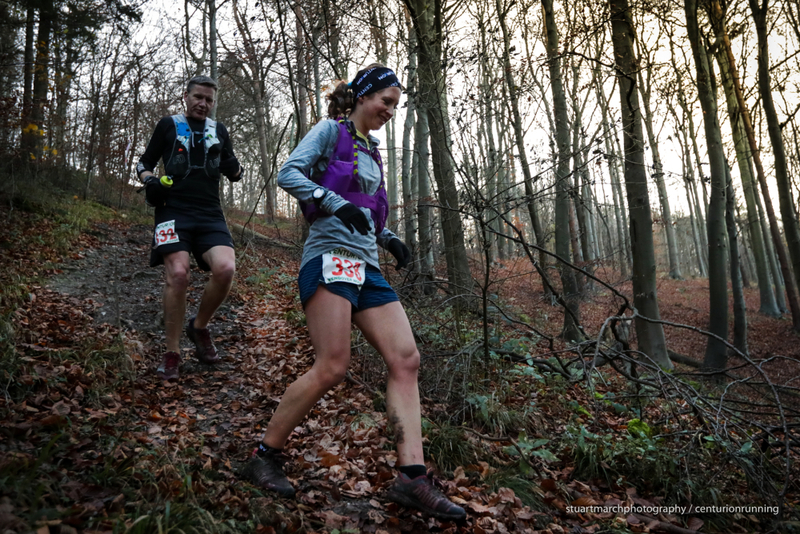 I spent 7 months in the lead up to GUCR just solely focussing on that and I really enjoyed getting stuck into the training and doing stuff like recceing bits of the course. I know a lot of people will do 50 or 100 mile races in training for something like GUCR but that just would never have worked for me. I also had a good base from doing SDW100 and A100 in 2016, so had a few weeks off after A100 then got stuck into GUCR training. 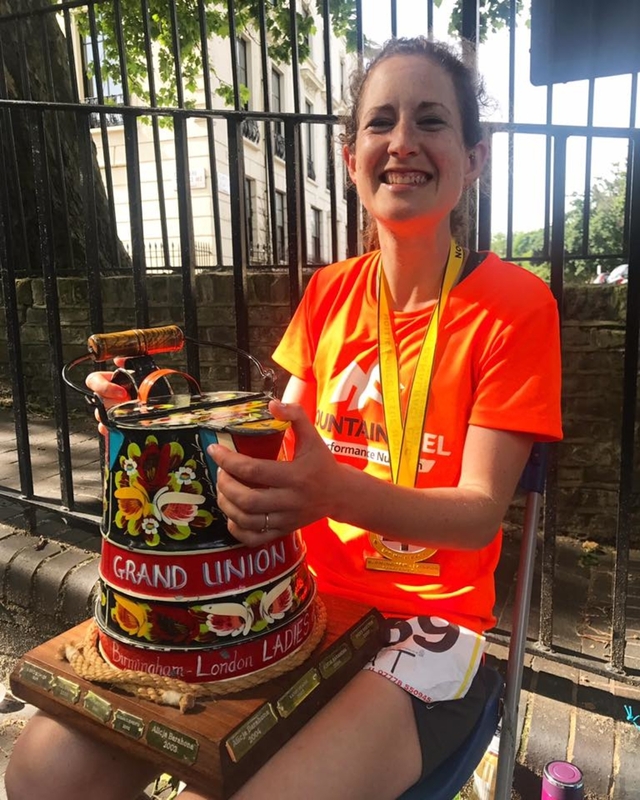 I went into the race with a sub-30 hour plan, but wondered if the CR was achievable - having never run over 100 miles before though I wasn't sure how my legs would fare. I was hoping to clear the 100 mile point in about 19 hours, but made it in around 17.5 and once I realised the CR might be within reach, it was just a race against myself to get to Little Venice (with the help of my wonderful pacers who were incredibly accommodating of the fact I didn't really want much chat and kept stopping to be sick). With about six miles to go, I was completely broken and realised I could walk it in (well, it was more of a ridiculous looking hobble) and still make it in under 28 hours. The result was definitely a bit of a surprise but I think the course is one that's eminently runnable and potentially fast if you can just keep moving forwards and not focus too much on the fact it's an EFFING long way. 4) You’ve have a good few marathons times this year, do you think marathon training helps with ultra-running? Yes, absolutely - to be honest I think they're one and the same in a lot of ways - ultra-training is really just marathon training with a few long back-to-back weekends thrown in. I think it can be easy to make the mistake of assuming for ultras you have to do all your training at one pace (ie slowly) but I think it's good to do a bit of speedwork, even if it's just for variety and you're not training for a fast marathon. Breaking the three hour mark for a marathon has been a long standing goal of mine but it's always felt way out of reach, so it was nice to get a little bit closer to that this year. The big mileage weeks I was running for GUCR training (80-100 miles) meant I could hold the required marathon pace without dying on my arse for the last 5 miles, as tends to happen. 5) Any favourite sessions or cross-training tips? The only sessions that give me the fear are long tempo runs - otherwise I like it all - roads, hills, speedwork (well, sometimes), easy runs... it's all about variety. Particularly, I've grown to really like hills sessions, as it's kind of cheating at speedwork and you're using different muscle groups so in a way it counts as cross training, which gets me off the hook for doing zero strength and conditioning work too. Living down south means what I class as a hill might be different to northerners, but there are some good continuous 1k stretches on the North Downs Way which do the job, and fortunately most other Londoners haven't discovered them yet so my Strava CRs are safe for the time being. 6) WW50 is gaining the reputation of being a fairly tough course. How would you describe it? And what was your approach to racing it? 7) Your Dad is a bit of a legend. Do you inspire each other? Who eats the most on Christmas Day? And who would win in a beer-off? He is a legend, and he can out-drink me too, despite being shorter than me these days 😉. He's great on the crew side of things and always pushes me a bit but never in an annoying way - he just has 'the look' that only a Dad can have that you know means you need to get your arse in gear and stop faffing around. He's a brilliant runner and I'm really looking forward to reciprocating by crewing him for his first 100 next year (although I can't drive so we've still got the finer detail to work out for that one). The plan and the reality are definitely different for this one - I'm rubbish at eating and just don't enjoy force-feeding myself on long races. I'm supported by Mountain Fuel and rely on their Extreme Energy Fuel which is basically calories/sugar and electrolytes in a drink. I also use their recovery drinks (like choc milk) during races to get some protein and fat in, and baby food in squeezy pouches tends to form the bulk of my race nutrition too, plus fruit and mars bars. During GUCR I survived on caramel stroopwaffels (your 10 for £1.50 supermarket variety) which were great race fuel. 9) What are you plans for 2018? The S word! I may have told a few people after GUCR that I though 145 miles was further than humans were really designed to run, but hopefully that's all been forgotten about because I'm planning to do Spartathlon. I'll also be doing the very fine TP100. I've had my eye on a 24 hour race for many years now so if one fits in the diary with Sparta plans then that'll be in there, but I may hold out for Tooting 24 another year. 10) If you could only ever race one more race, which one would you choose? I would say something really lofty here to make myself look good but my Dad will read this and expect me to do it, so I need to be realistic. If I could never run again then it'd have to be a multi-dayer to make the most of the experience. Maybe something like Dragon's Back. Otherwise, Western States 100 is definitely a race I'd like to do one day.